Yeti Airlines Domestic Pvt. 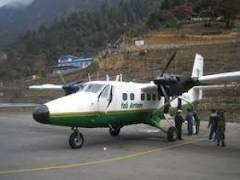 Ltd. started operations with two DHC-6/300 Series 'Twin Otter' aircraft flying to remote areas with STOL (Short Take Off and Landing) airports like Lukla, Phaplu, Lamidanda, Rumjatar and Simikot . 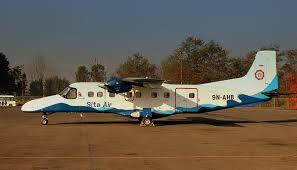 Started with one DHC-6/300 Twin Otter aircraft now owns fourteen in number. Yeti provides the services in various destinations and helps to join the Himalayas, Hills and Plain lands of Terai. Some renowned sectors are Lukla, Phaplu, Lamidanda, Rumjatar and Simikot. Bears the corporate social responsibilities. Flights are attended by a host of friendly co-operative and professional crews. Embassies, Diplomatic Agencies, etc. in order to honor their contribution for the overall development of the nation. Sectors are limited as Bhadrapur, Biratnagar, Bhairahawa, Nepalgunj, Pokhara, Dhangadhi and Janakpur (from or to Kathmandu). For this, they require a copy of ID card. Yeti Airlines operates also the charter and cargo flights. For the charter flight prior booking is essential. 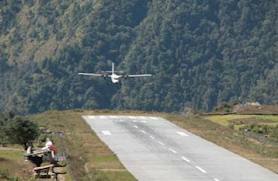 Air offers scheduled, charter and cargo Flights throughout Nepal. Sita Air aims to promote tourism and offer safe, efficient and reliable air transportation services. Sita Air is a domestic STOL operator. It offers scheduled, charter and cargo flights to all its destinations. 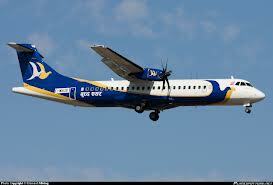 It is going to obtain the license from Civil Aviation Authority of Nepal for international operations. Recently it operates four Dornier Fairchild manufactured DO 228-202/202K/212 twin engine Turboprop aircraft fitted with Garrett TPE 331-10T/5A engine.